Student and family data are stored electronically along with documents and student’s portfolio. Academic or classroom management strategies including attendance, timetable management, daily assessments, marking and more features are fully supported on the platform. Academic CRM, tuition management, transportation, and library management are also provided via the platform. 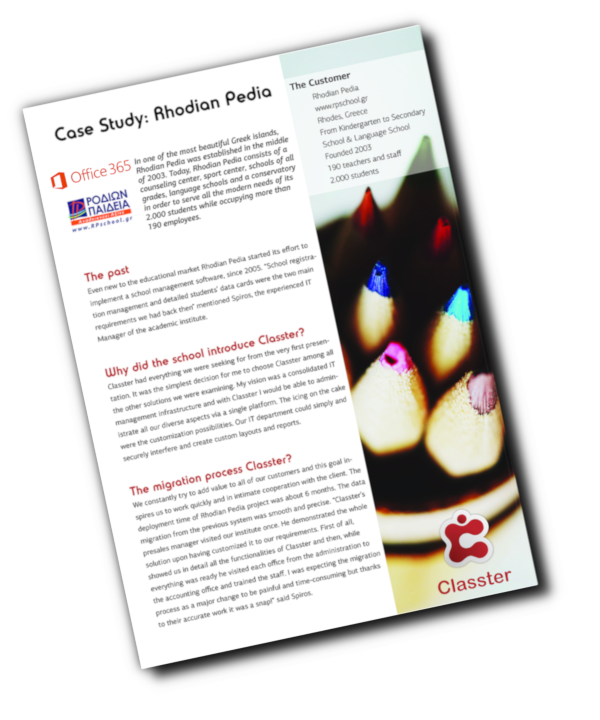 Classter provides you the support you need to establish adaptability and flexibility into curriculum management. Moreover, the software supports the advanced distribution of quizzes or surveys implementing next-generation learning mechanisms. The web portals and mobile apps for students, teachers, and parents, aim to engage all your end users allowing your school to open all processes to its key stakeholders.